This is the easiest appetizer you’ll see all season, and it's so delicious, you'll be making it for years to come. 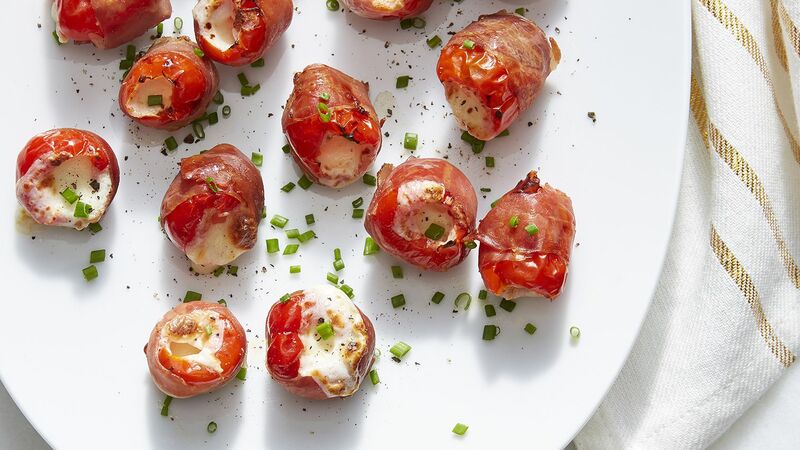 Sweet Peppadew peppers are stuffed with gooey mozzarella, wrapped in salty proscuitto, and placed under the broiler until the prosciutto crisps around the edges. Whether you decided to throw an impromptu gathering or have planned a holiday party, these will not let you down. 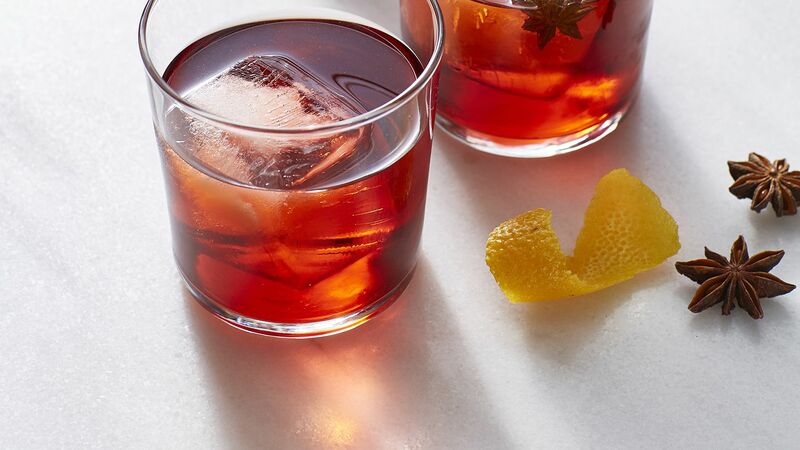 Taking inspiration from the spices in mulled wine, we created a delicious Negroni cocktail. Campari is infused overnight with star anise, cinnamon, and cloves, and all you have to do is add equal parts gin and sweet vermouth. Just one sip, and everyone will be feeling the holiday spirit. 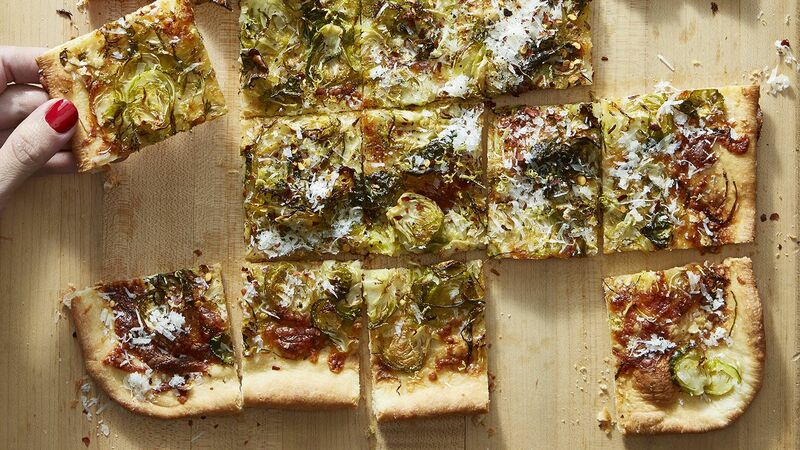 If you've got store-bought pizza dough and a bag of brussels sprouts, you're halfway to zesty, spicy, cheesy nirvana. The best part? Feed a crowd with this flatbread as an appetizer, or cut it into larger pieces to make it a meal. It doesn't get much easier than that. No one will be able to resist vanilla ice cream smothered in freshly brewed coffee. 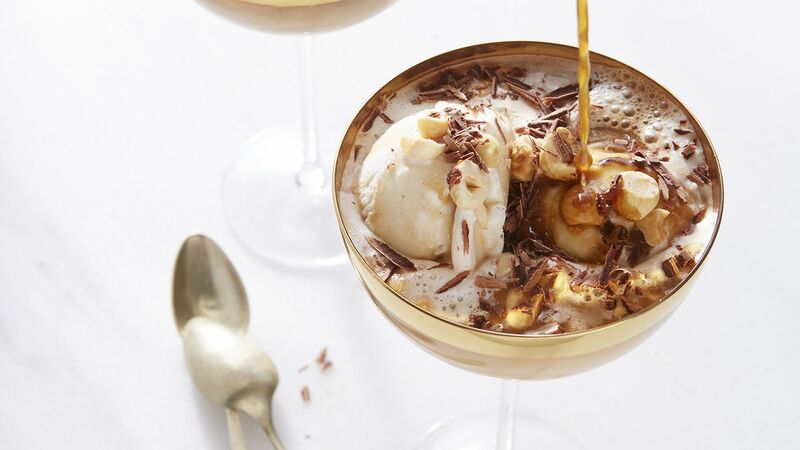 This traditional Italian dessert is a perfect and practically hands-off treat that comes together faster than you can say affogato. Our version is topped with toasted hazelnuts and shaved chocolate for an extra special touch that guests will fall in love with.